Sire: CH. * Iwan Vom Lechtal. 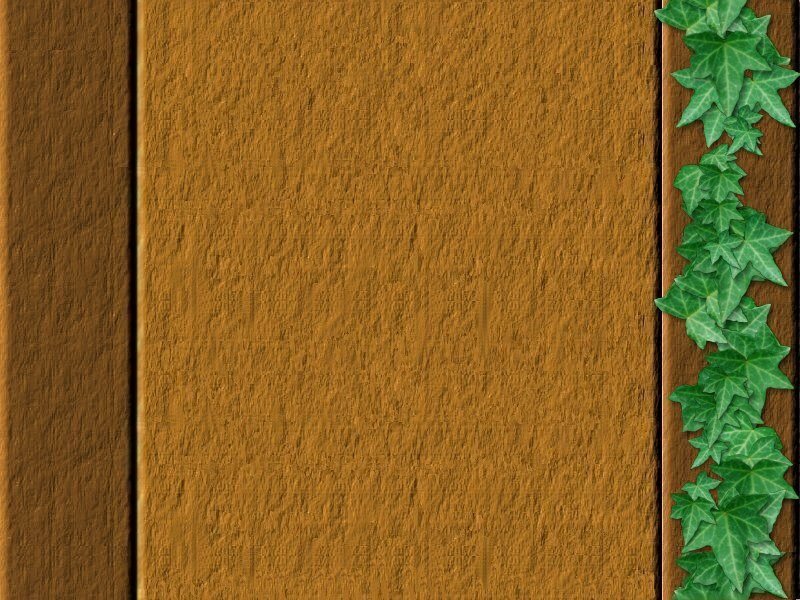 (IMP. GMY) Cl. 1. 'a''Z'. H-neg. O.C. BODECKA FATAL FURY. (Wil) 'A'Z'. CD. CDX. UD. 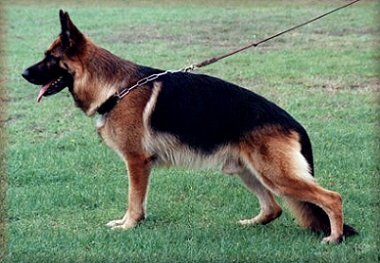 At the 1999 G.S.D.C.V.Inc Inter-Branch Fun day held at the Eastern Branch, Wil won class '2' Obedience with a score of 199 and also won the Highest Scoring Dog of the Trial. At Wil's first Victorian Canine Association Obedience Trial which was held by the Warringal Obedience Dog Club on the 9th of April, Wil came 1st in Novice Dog with a score of 198 plus he also took out highest scoring dog in trial. On the 9th July 2000 at the G.S.D.C.V. Inc. Open Obedience Trial, Wil won Novice Dog with a score of 197 for his Novice Title, 3 wins & 3 trials in a row, he also was the highest scoring dog in the trial. On the 21st of September 2000 Wil won Novice Obedience with a score of 188, Judge: Mr David Scrimshaw (Tas) at the Royal Melbourne Show (Royal Agricultural Society of Victoria Championship Show and Obedience & Agility Trial). On Saturday 30th of September Wil won the Run Off for Best in Obedience Trial at Royal Melbourne Show. 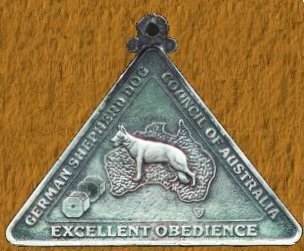 On Saturday 28th October 2000 at the Werribee Obedience Dog Club Inc., Wil won his first Open Obedience Trial with a score of 197 plus he also was the highest scoring dog in the trial. On Sunday 29th October 200 at the Gisborne & District Obedience Dog Club Inc., Will won his second Open Obedience Trial with a score of 198 plus he also was the highest scoring dog in the trial. That now makes 4 Novice Trials, 2 Open Trials in a row with 6 wins in a row plus 2 Best in Trials & 4 Highest scoring dog in Trial. 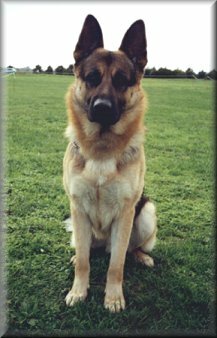 On 2nd of December 2000 at the G.S.D.C.V.Inc Open Show & Restricted Obedience Trial, Wil came 2nd in Open Obedience with a score of 195 which gave him his title for CDX. Since he first started trialing he has 7 passes in a row. At the G.S.D.C.V.Inc.Restricted Obedience Trial held on the 1/12/01, Andrew and Wil achieved the perfect score of 200 points in the UD class, which is the first time that it has ever been done. 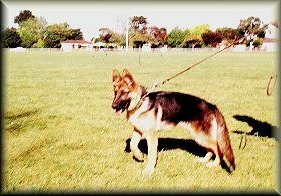 Wil & Andrew have gone on to win many, many best in Trials at German Shepherd & All breed Obedience trials. At 1999 G.S.D.C.V.Inc Inter-Branch Fun day held at the Skye Branch, Jimmy came 2nd in class '2' Obedience with a score of 192 and he also won Highest Scoring Dog of the Trial. CD. AD. ADX. ADM. JD. JDX. JDM. On the 20th May 2000 at the 9th G.S.D.C.V. Inc. State Breed Exhibition & Restricted Obedience Trial, Wil won Novice Dog with a score of 193 & a Excellent Obedience Medal, plus he also won the Run Off for Best in Trial.